Founded in 1991, Living Cities harnesses the collective power of 22 of the world's largest foundations and financial institutions to build a new type of urban practice that gets dramatically better results for low-income people, faster. Founded in 1991, Living Cities harnesses the collective power of 22 of the world’s largest foundations and financial institutions to build a new type of urban practice. Together, we are working with cross-sector leaders in cities to develop and scale new approaches to dramatically improve the economic well-being of low-income people. Our investments, research, networks and convenings catalyze fresh thinking and combine support for innovative, comprehensive, local approaches with real-time sharing of our knowledge to accelerate and deepen adoption in more places. 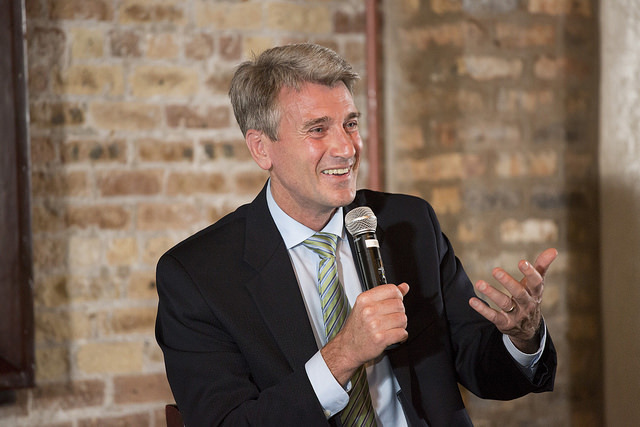 Rip Rapson, President & CEO of The Kresge Foundation, named new Chair of the Living Cities Board of Directors; Will expand the capacity of the unique collaborative of philanthropic and financial institutions to better blend grants and impact investing to dramatically improve the lives of low-income people. Living Cities launched the Blended Catalyst Fund, a $31 million impact investing debt fund that will test innovative approaches to solving urban problems. The Blended Catalyst Fund combines philanthropic and commercial debt under the premise that both types of capital are needed to support initiatives that achieve better results for low-income people in US cities. The Fund currently includes ten philanthropic and commercial investors that are committed to increasing the flow of available capital to meet growing demand for social services across the country. The Citi Foundation and Living Cities announced the expansion of the $3 million City Accelerator program to help speed the adoption of leading local government innovations to Pittsburgh, St. Paul, San Francisco, and Washington, D.C. Urban leaders in these cities will work together over the next 18 months to explore and adopt new practices and policies to help close funding gaps to fully implement their five-year city infrastructure plans, with particular attention to projects that will have an impact on low-income residents. Living Cities, with Third Sector Capital Partners, Inc., announced a first-of-its-kind loan product, the Pay for Success (PFS) Construction Loan. The new PFS Construction Loan is designed to cover the upfront costs of constructing PFS projects. In addition, it aims to accelerate the launch and implementation of more PFS projects. One of the barriers preventing the PFS field from growing more rapidly is the reliance on grants for the upfront funding necessary for service providers, project managers and evaluators to construct a PFS project. This construction work is intensive and costly as it can include target population selection, data gathering and analysis, economic modeling, evaluation design, program training and scaling. The new PFS Construction Loan aims to encourage more PFS projects and ultimately increase the number of impactful programs that are measurably improving the lives of people in need. The Living Cities Catalyst Fund has been selected for the ImpactAssets 50 2015 (IA 50), a free, publically available online resource for impact investors and their advisors. The IA 50, now in its fifth year, is the first publically available database of private debt and equity impact investment fund managers. Living Cities, a philanthropic collaborative of 22 of the world’s largest foundations and financial institutions, today announced that Albuquerque, New Orleans, San Francisco and Seattle/King County will advance to the implementation phase of its signature effort, The Integration Initiative (TII). Now in its second round, TII supports civic leaders who are reshaping their communities to increase opportunities for low-income people. The four cities will receive a combined total of one million dollars annually for up to three years to implement their respective efforts. Living Cities, Code for America and the National Neighborhood Indicators Partnership announced today the selection of Boston and St. Louis to participate in the Civic Tech and Data Collaborative, a new initiative to harness the power of civic data and technology to improve the lives of low-income people. Over the next two years, teams of civic technologists, data practitioners and government officials in each city will develop data and technology solutions to address a pressing problem in their city. Each will be supported in this effort by a $200,000 grant and coaching from the national partner organizations. The Citi Foundation and Living Cities today announced that Albuquerque, Atlanta, Baltimore, New Orleans and Seattle will receive support to adopt leading practices in community engagement through the City Accelerator, a $3 million initiative to advance innovation in local government. Over the next 18 months, participating cities will apply innovative approaches to enhance the ways in which cities engage with their citizens on important local issues such as city planning, entrepreneurship and healthcare. In addition to addressing these specific issues, participating cities will seek to integrate these approaches into their daily operations, so that enhanced engagement becomes course-of-business. As part of the City Accelerator initiative, each city will receive up to $170,000 in financial and in-kind support to enable this work. Living Cities today announced a new partnership with Bloomberg Philanthropies for its Innovation Teams (i-teams) program. Living Cities will lead efforts to connect the growing network of cities with i-teams (currently 17 U.S. cities and two cities in Israel) and to share emerging learnings from this work with the field. As one of Bloomberg Philanthropies' Government Innovation portfolio initiatives, the Innovation Teams program was created in 2011 to address barriers to innovation in city government and deliver change more effectively to citizens. Through the use of data and other proven idea generation and project management techniques, these i-teams greatly reduce the risks associated with innovation, providing mayors and city leaders with a more reliable way to address their highest-priority problems. Living Cities will employ multiple tactics, from dynamic in-person forums, to webinars, a digital platform for conversation, blogging events, and a social media strategy to create opportunities for i-teams to learn from each other and for other cities and urban practitioners to learn from the i-teams' efforts. Living Cities, with support from the Citi Foundation, today released a toolkit to help local governments adopt cutting-edge approaches to innovation as part of the City Accelerator program. The implementation guide offers practical guidance to local government officials on how to build a durable culture and practice of innovation that draws from leading practices with promising results from cities around the United States, as well as from the private sector. The guide was developed as part of the City Accelerator, a $3 million program of Living Cities with the Citi Foundation to speed the spread of innovation with the potential to benefit low-income people in local governments. The implementation guide – authored by Nigel Jacob, co-founder of the Mayor’s Office of New Urban Mechanics in Boston and Urban Technologist-in-Residence at Living Cities – addresses some of the key barriers that local governments face when looking to incorporate innovation in their cities, and introduces fresh ideas as well. Five communities will receive strategic assistance from the StriveTogether team and national experts in workforce development, engage with peers focused on similar work to share and capture emerging lessons and develop knowledge to inform the broader StriveTogether Cradle to Career Network and the field of collective impact as a whole. Some of the sites will also explore how to incorporate racial equity considerations into their efforts to prepare low-income individuals for quality jobs. The five participating grantees are members of the StriveTogether Cradle to Career Network: Thrive Chicago in Chicago, Ill.; All Hands Raised in Portland, Ore.; Mission: Graduate in Albuquerque, N.M.; Big Goal Collaborative in Northeast Indiana; and the StrivePartnership, along with Partners for a Competitive Workforce, in Cincinnati, Ohio and Northern Kentucky. Each grantee will each receive $60,000 over two years to build out their collective impact partnership’s work related to career-end outcomes. 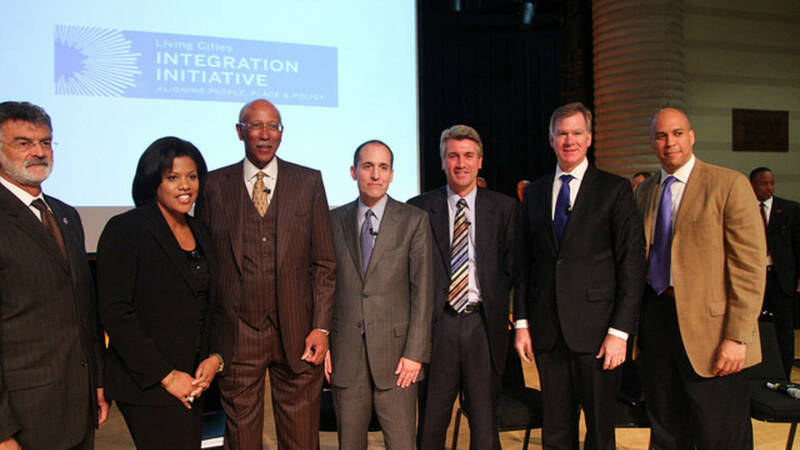 Living Cities announced the expansion of its signature effort, The Integration Initiative (TII), which supports civic leaders in cities coming together in new ways to increase opportunities for low-income people at scale. 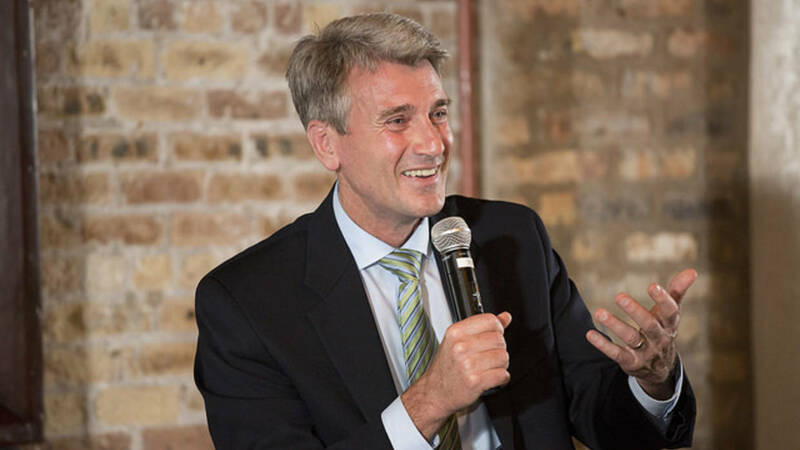 As a Senior Advisor for Municipal Practice, Rybak will help to broaden Living Cities' engagement with municipal governments. His wealth of experience as a municipal leader will be instrumental to advancing Living Cities' mission of supporting city governments to become more innovative in the ways that they operate, collaborate, and align resources for results. 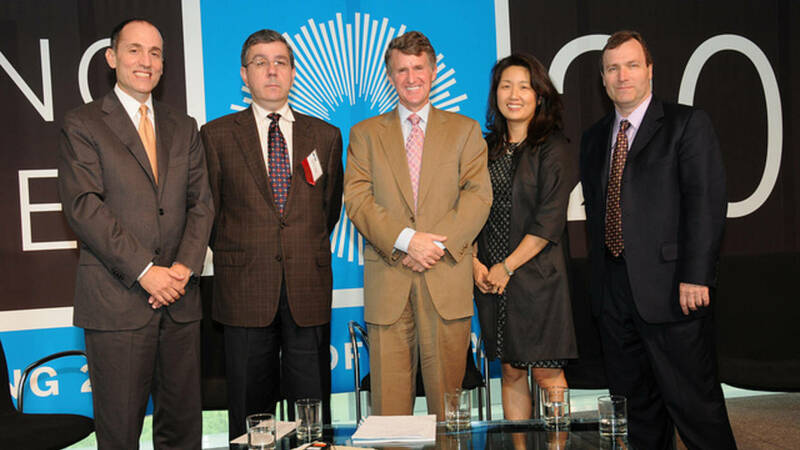 March 14 2014: Citi Foundation and Living Cities Launch City Accelerator Program to Drive Innovation and Collaboration in U.S. Cities. The City Accelerator is a $3 million program to foster innovation and promote collaboration between urban leaders to tackle some of their cities’ most pressing challenges. The City Accelerator will allow selected U.S. cities to pilot innovative efforts that generate economic opportunities for low-income populations and help municipalities run more effectively. Participating cities will also benefit from ongoing interaction with leading practitioners from around the country and share lessons learned to advance progress. Nigel Jacob, Co-Chair of the Boston’s Mayor’s Office of New Urban Mechanics, will be serving as Living Cities’ Urban Technologist in Residence. He will help to expand Living Cities’ engagement with municipal governments across the organization’s portfolio of activities, which are directed at improving the lives of low-income people in America’s cities. An unusual cross-section of leaders convened at the Federal Reserve Bank of Boston to celebrate the Working Cities Challenge, a community development initiative for Massachusetts' smaller cities. Twenty eligible communities applied to participate in the initiative. From the 20 applicants, six cities won a total of $1.8 million to support projects that build on cross-sector collaboration and strengthen civic leadership. Applicant cities focused on employment challenges, adult education, and workforce development for youth, among others. The Boston Fed’s partners on the Working Cities Challenge include Living Cities, the Massachusetts Competitive Partnership (a coalition of the state’s largest employers), and the Commonwealth of Massachusetts. Living Cities' Catalyst Fund has been selected for the ImpactAssets 50 2013, a free, online resource for impact investors and their advisors. The IA 50, now in its third year, is the first publically available database of private debt and equity impact investment fund managers. The IA 50 serves as a gateway for those interested in achieving social and/or environmental, as well as financial, returns on their investments. 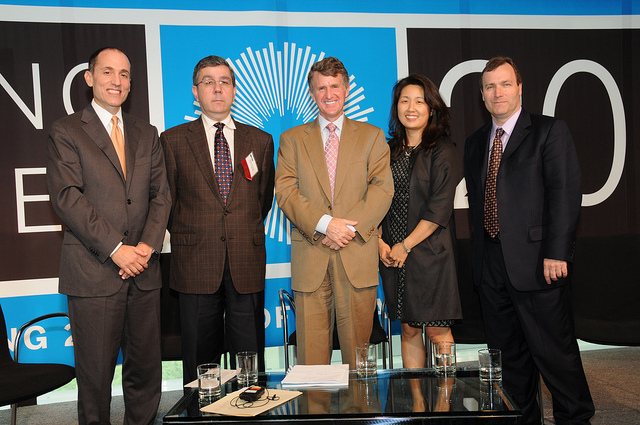 Fund managers included in the IA 50 2013 manage a combined $10.8 billion in assets within the impact investing market. Joined by representatives from 20 Massachusetts communities, Federal Reserve Bank of Boston President Eric Rosengren, Living Cities President Ben Hecht, Massachusetts Competitive Partnership President Dan O'Connell, and Department of Housing and Economic Development Secretary Gregory Bialecki today launched the Working Cities Challenge: An Initiative for Massachusetts Smaller Cities. Modeled after Living Cities' signature effort, The Integration Initiative (TII), the Working Cities Challenge pushes cities to tap the wisdom of all sectors to develop a transformative project that will bring deep and lasting change. Massachusetts is the first state to adapt The Integration Initiative model at the regional level. The Living Cities Catalyst Fund has been selected for the ImpactAssets 50 2012, an open-source, publicly published database of experienced private debt and equity impact investment fund managers. The ImpactAssets 50 2012 is a resource for advisors and investors seeking to respond to the growing demand for investment opportunities that deliver both financial and social or environmental returns. This is the second consecutive year that the Catalyst Fund has been selected for the ImpactAssets 50. In order to fix some of the most pressing social problems we face, we need to expand our current capacity to invest private capital for public purposes. What we’ve learned about adopting and spreading innovation from the selection phase for the first cohort of City Accelerator cities. ImpactAlpha profiles our Blended Catalyst Fund, a $31 million impact investing debt fund that will test innovative approaches to solving urban problems. The Blended Catalyst Fund combines philanthropic and commercial debt under the premise that both types of capital are needed to support initiatives that achieve better results for low-income people in US cities. This story in Next City highlights how our Blended Catalyst Fund is designed to put together creative deals that would not otherwise be possible and to expand the field of impact investing. Governing highlights our Pay for Success construction loans, a brand new funding option for nonprofits interested in getting involved in pay for success projects. The loans will help nonprofits pay for designing Pay for Success projects, including for things like data gathering, analysis of that data, economic modeling, evaluation design and program training. In New Orleans, a broad, cross-sector partnership has coalesced around the understanding that, when it comes to economic opportunity, the playing field is far from level, and that it will take a collective effort to level it. Living Cities is proud to be a supporter of these efforts. Read more in Next City. Andrew Yang of Venture for America reflects on a meeting with Living Cities CEO, Ben Hecht, in the Huffington Post. 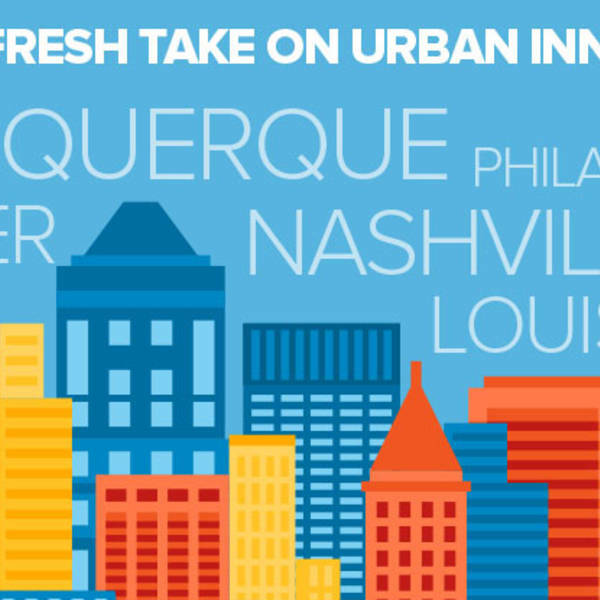 September 16 2014: Which 3 Cities are Fighting Poverty Through a Tech Cohort? Louisville, Nashville and Philadelphia have been selected by Living Cities and the Citi Foundation to spend the next 18 months implementing tech-driven solutions with guidance from coaches and other municipal innovators to create solutions to tackle everyday challenges facing low-income residents. Living Cities CEO, Ben Hecht, shares his reflections on how we have partnered with leaders in Minneapolis and St. Paul to ensure that low-income communities benefit from the light rail build-out in Minnesota. Ron Littlefield, a former mayor of Chattanooga, Tennessee on how the municipalities participating in our City Accelerator are doing a good job of increasing the appeal of not-so-glamorous innovations. Brandee McHale of the Citi Foundation and Nancy O. Andrews of the Low Income Investment Fund highlights Living Cities' work as an example of an holistic approach to creating economic opportunity. Federal Reserve Bank of Boston President Eric Rosengren reflects on how cross-sector efforts like the Working Cities Challenge, of which Living Cities is a funder, can support lower-income Americans amid an economic recovery that’s still incomplete. Living Cities CEO, Ben Hecht, and other industry leaders are interviewed for this article on the promise and challenges of Pay for Success. Journalist Esha Chhabra asks industry leaders, like our Director of Capital Innovation, Eileen Neely, if Social Impact Bonds are a fad or a long-term solution for underfunded public programs. This article profiles how the Corridor of Opportunities project in Minneapolis-St. Paul–part of our Integration Initiative– will protect a new rail line from hurting the communities around it. 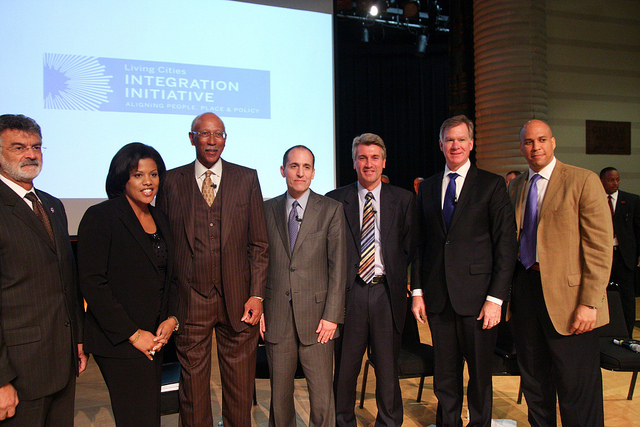 This article announces the addition of Albuquerque, New Orleans, San Antonio, San Francisco, and Seattle/King County to our Integration Initiative. They join Round 1 cities: Baltimore, Detroit, Minneapolis-St. Paul, and Newark. Devin Thorpe interviews our CEO Ben Hecht for this profile of Living Cities. Our CEO Ben Hecht is interviewed about reinventing how cities leverage investment for big projects. February 26 2013: Next City: How Should Louisville Engage Its Low-Income Residents in the Civic Process? This article discusses our work to find ways to better engage low-income young(er) people in the civic process in Louisville. This article profiles our unique model of dynamic funder collaboration. This article discusses efforts to revitalize Midtown Detroit, including the work of our Integration Initiative.